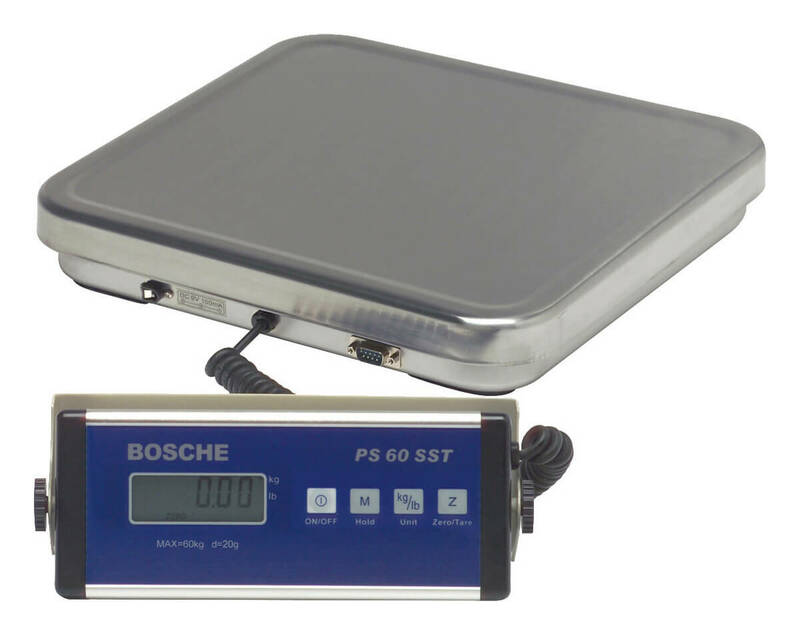 Product information "Package scale PS SST"
The package scales of the PS SST series can be used anywhere in non-legal for trade applications (e.g. receiving of goods, production, warehouse or shipping). 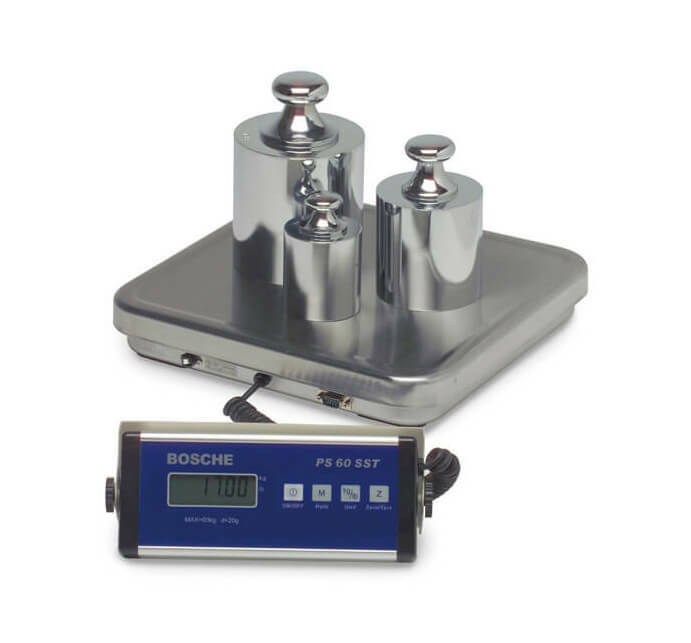 The separate indicator allows an easy weighing of bulky items. 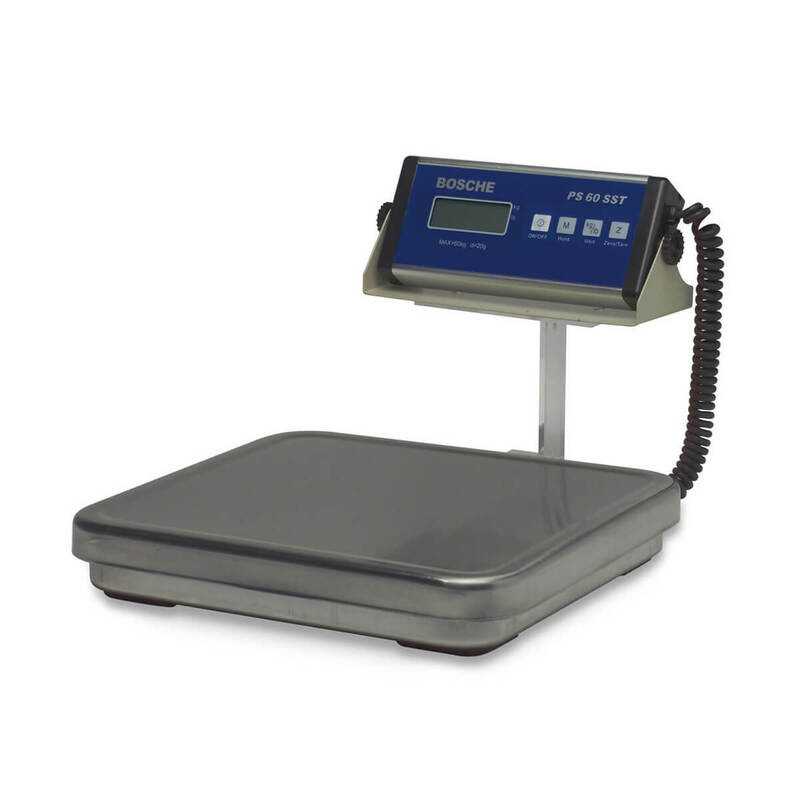 The scale is pracice-oriented and can be used easily from little experienced persoal. 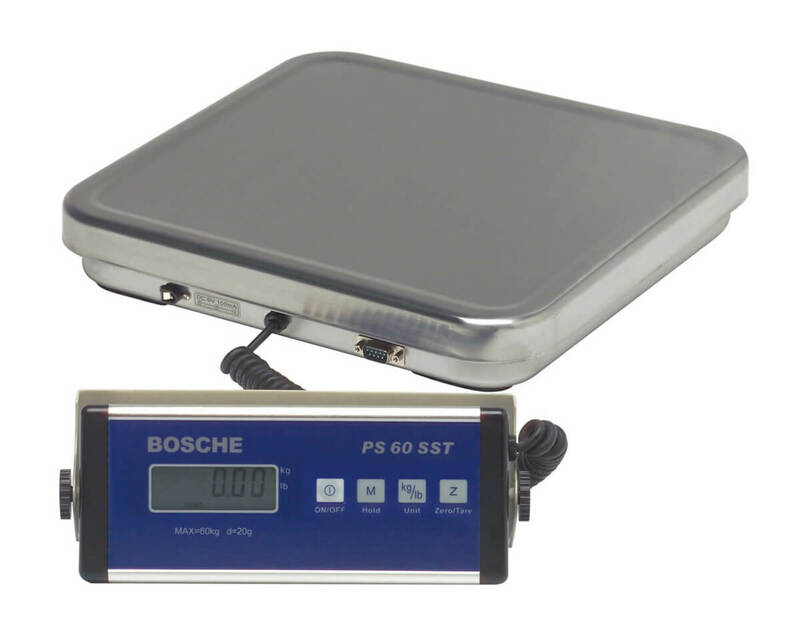 The low own weight, the easy mounting and the operating by batteries allows an use of the scale at different locations. Tare, zero positioning, Gross/Net. By taring, commissioning and additional weighing is possible. 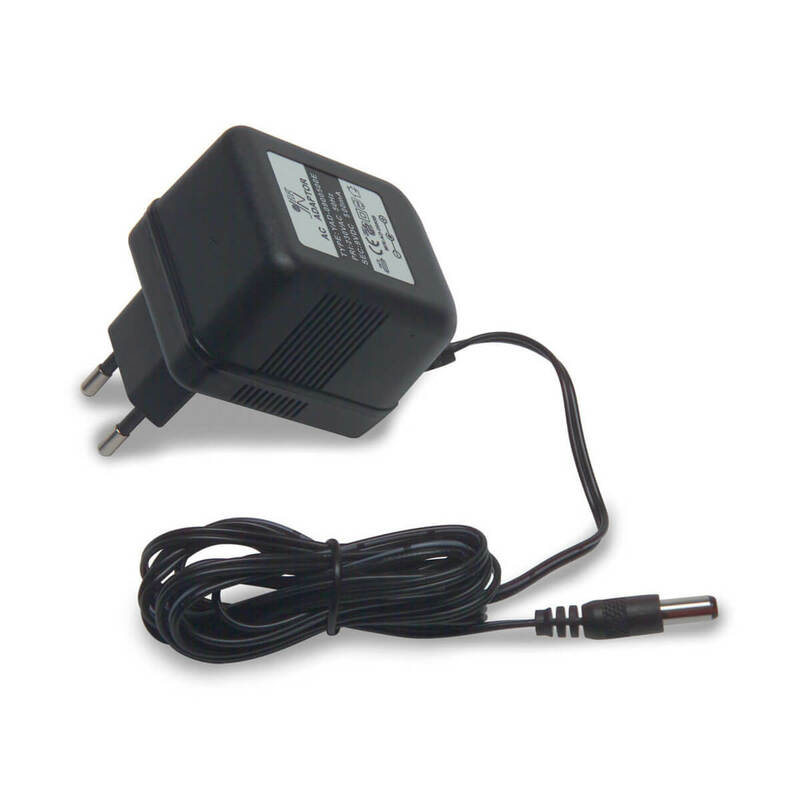 The package scale is delivered with a 230 V power supply. It is possible to operate the scale with standard mignon cells. Furthermore the package scale has a automatic shut-off-function. 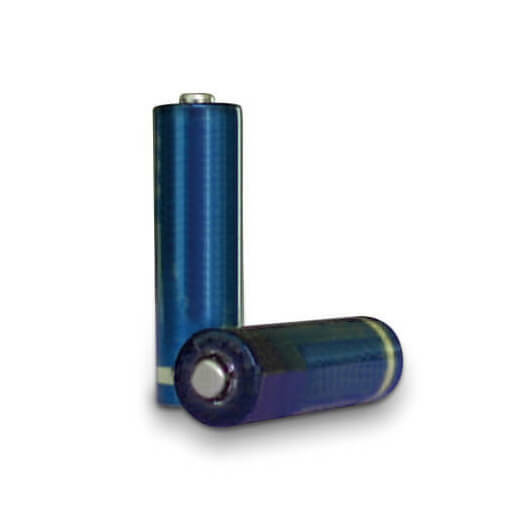 When in battery operation the scale automatically shuts off after 3 minutes when there is no load change. 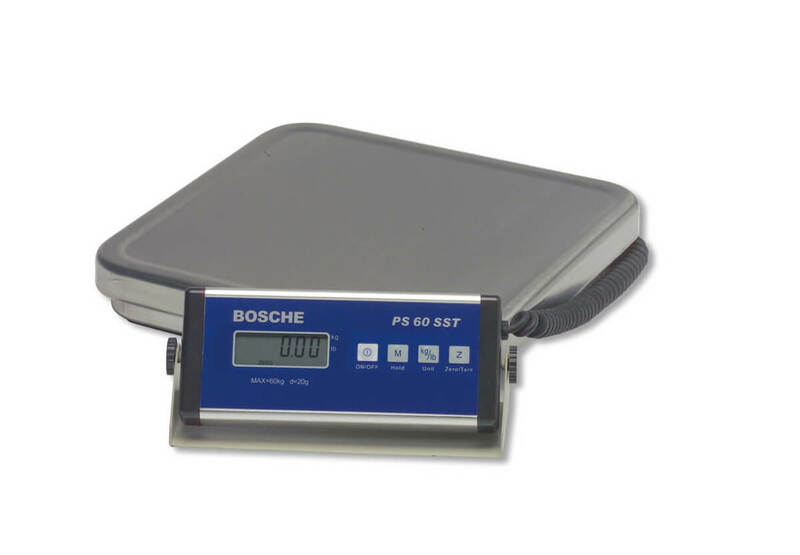 A bright LCD display ensures good legibility of the weighing data. The adjustable backlight ensures excellent visibility even in unfavorable light conditions. An intuitive operation via easy keypad with 4 keys allows also untrained personnel easy operation. The keys with tactile feedback provide safety during operation. The separate display is installed in a robust aluminium profile and has a water and dustproof membrane keypad with 4 keys. The easy to read display is connected via a 2 m coiled cable to the easy to clean stainless steel platform. Therefore it can be placed at any place for an ergonomic working or it can be mounted on a wall. 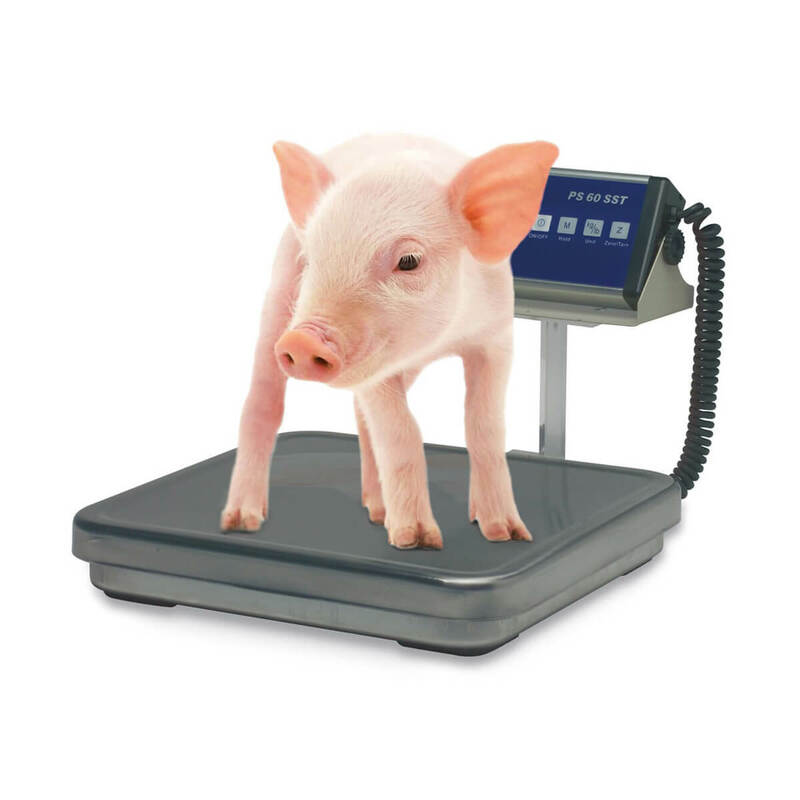 Rubber feet under the weighing platform ensure a safe and stable stand. A wall mount is incuded int he delivery as standard for a safe wall mounting. Related links to "Package scale PS SST"